* Represented clients in the City of San Diego Pension Investigation, Alvarado Hospital/Tenet Healthcare Investigation and Peregrine Securities Investigation. * Obtained consecutive mistrials in vehicular manslaughter case where the prosecution alleged the defendant was driving with a blood alcohol three times over the legal limit. * Obtained dismissal of obstruction case after mistrial. * Obtained probation for client in misappropriation of trade secret case. * Obtained split-sentence for client in $20 million securities fraud. * Conducted internal investigation on behalf of audit committee of high-tech company. * Conducted internal investigation into alleged corruption on behalf of the City Council of municipality. Colin Murray began his career by serving as a law clerk for the Hon. Frederick Weisberg at the Superior Court of the District of Columbia and for the Hon. Oliver Gasch at the U.S. District Court for the District of Columbia. Murray is a former deputy district attorney for the county of San Diego, where he tried more than 50 cases to jury verdict. 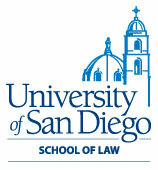 In 2000, Murray joined Baker & McKenzie, where he is a partner and now the chair of the San Diego office’s Litigation and Dispute Resolution Practice Group. Murray is a member of the American Inns of Court, Federal Bar Association, San Diego County Bar Association and sits on the board of the Association of Business Trial Lawyers. He is a director of Casa Cornelia Law Center. He is a former director and past president of the San Diego County Bar Foundation, which funds legal programs for homeless, senior citizens, abused children, domestic violence and other worthy causes. 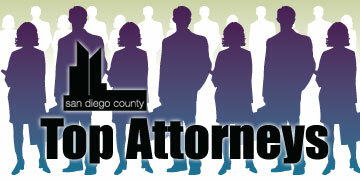 He has appeared as a legal analyst for national news programs and local broadcasting affiliates in San Diego.